!!! 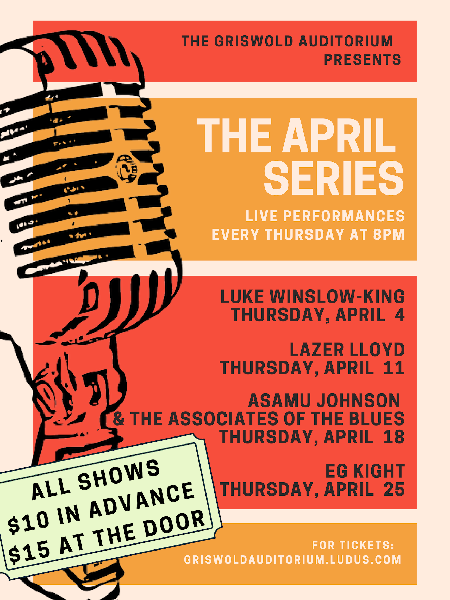 2019 Summer Concerts Series !!! 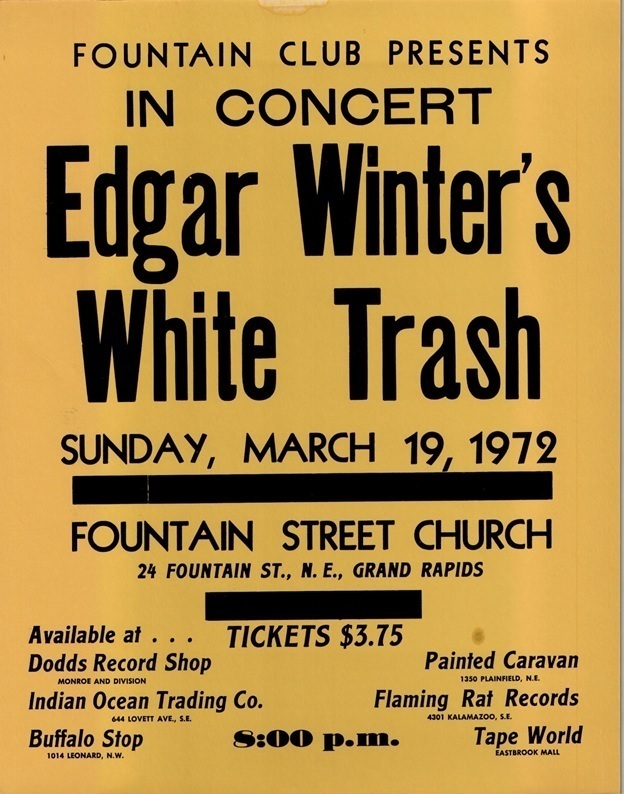 to WMBS.music.calendar@gmail.com We will include them in our weekly emails. 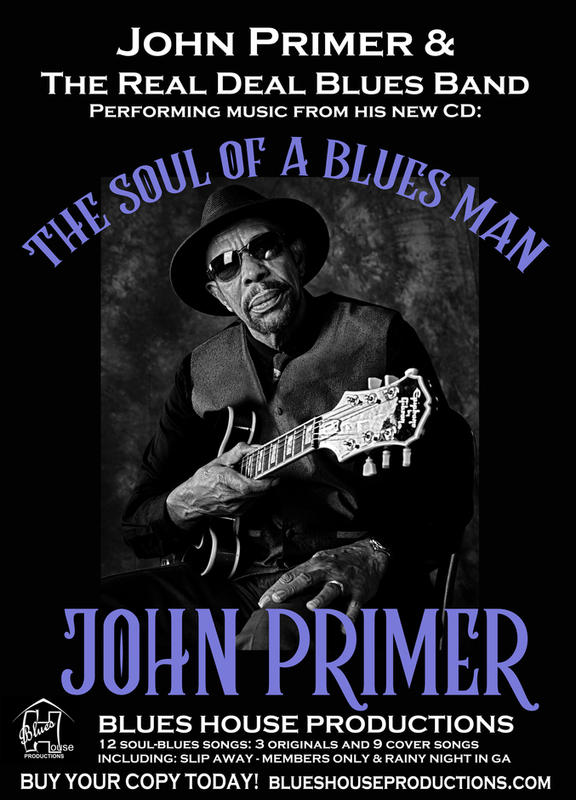 Michigan Blues Society has a new membership category to offer bands. 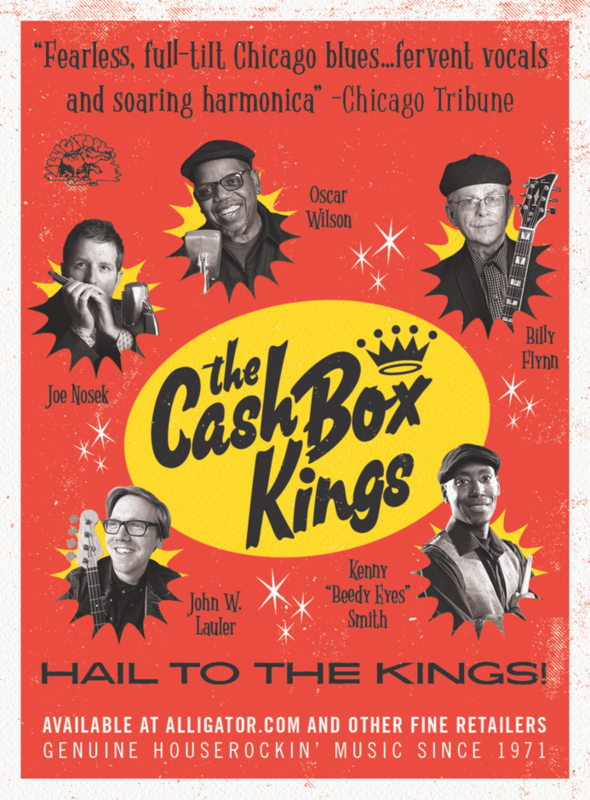 For thirty dollars, up to six bandmates can become card carrying members of our organization that strives to keep the blues alive through promotion, education and deep appreciation. And you will receive discounts at several area businesses as well as our weekly music newsletter that is already advertising your band. 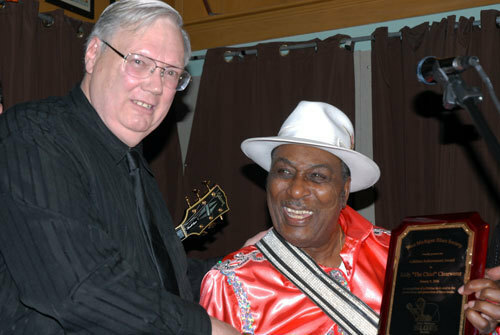 WMBS President Bruce Blake presenting Eddy Clearwater with his Lifetime Achievement Award. 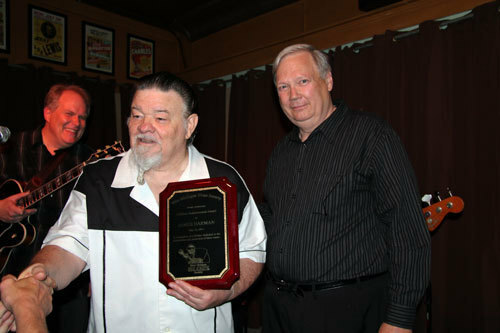 WMBS President Bruce Blake presents James Harman with a Lifetime Achievement award. 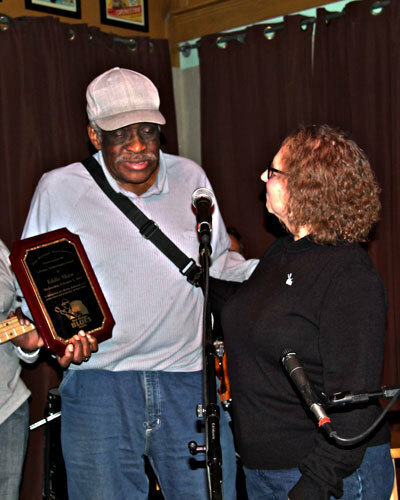 WMBS President Becky Richards presents Bryan Lee with a Lifetime Achievement Award made specially in braille. 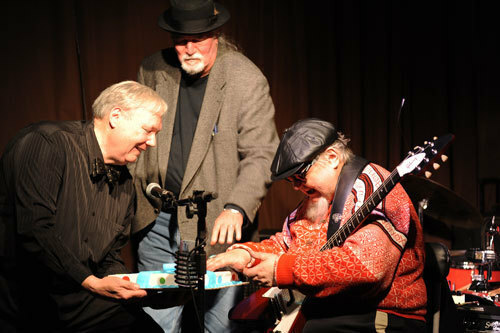 Bruce Blake presents Bryan Lee with a braille birthday cake. 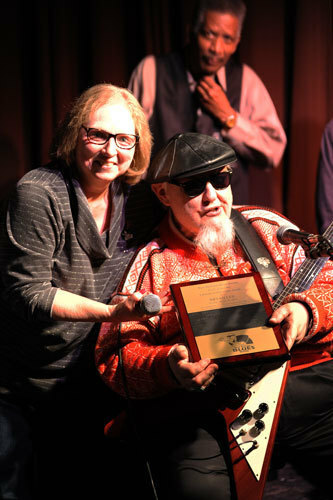 Eddie Shaw receives a Lifetime Achievement Award from WMBS President Becky Richards. 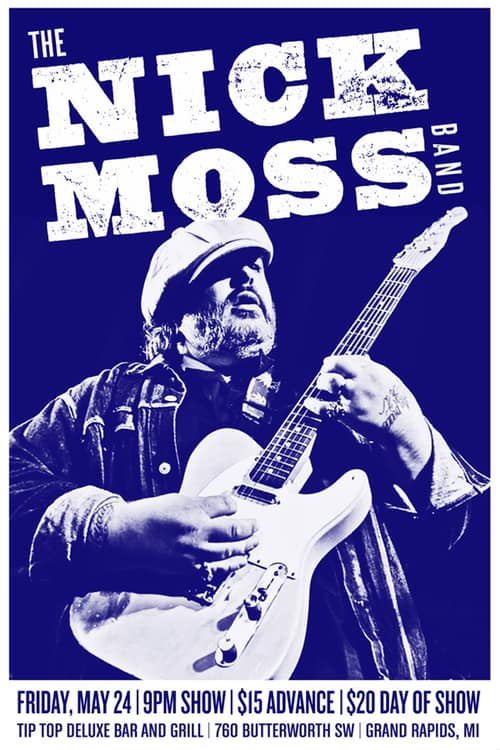 One West Michigan blues band will be going to Memphis in January 2020, to represent the West Michigan Blues Society Region in the largest battle of the bands event held in the world. 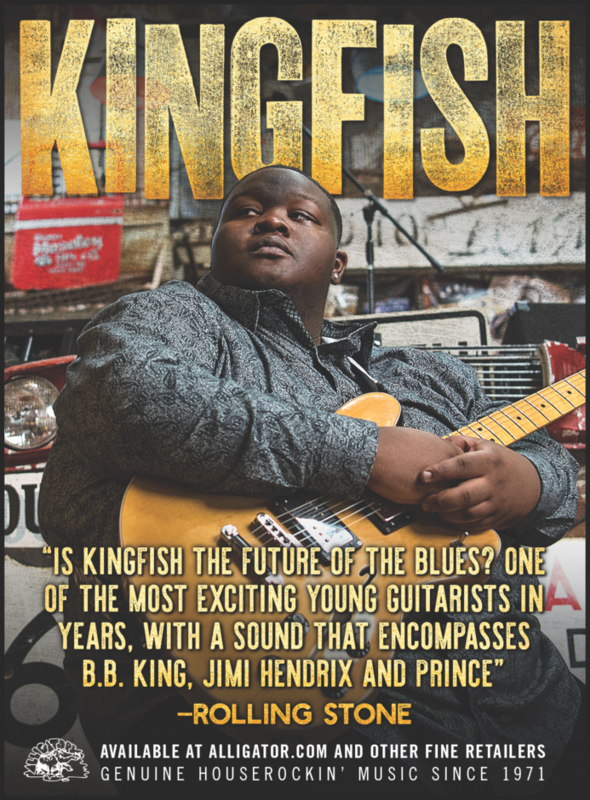 Our local winner will be part of a three-day-fandango featuring 380 blues bands from around the world, along with 190 solo/duo combos that will be rocking Beale street night and day. 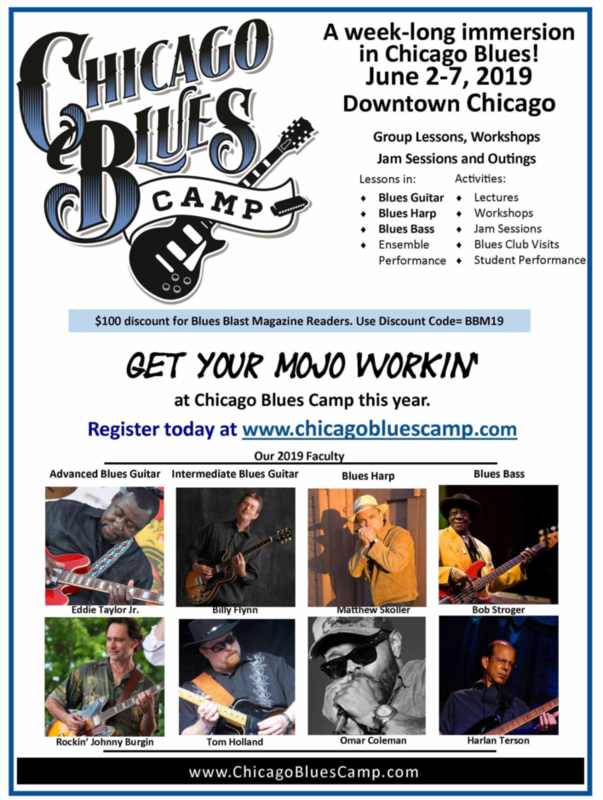 Local and national judging will be conducted by a juried panel of judges focusing on blues content, originality in composition, stage presence, vocals instrumentation and showmanship. 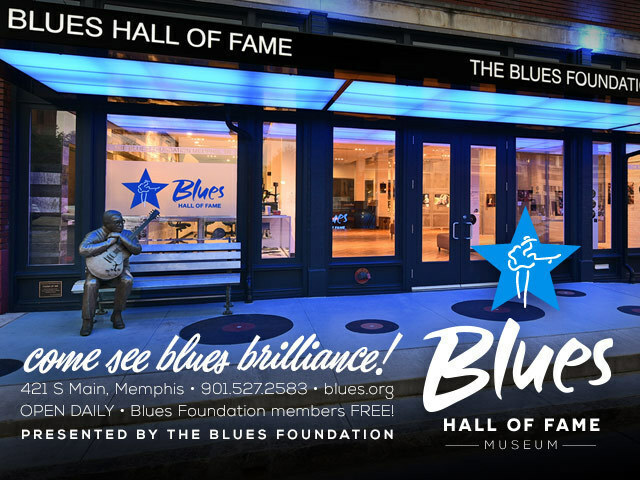 The local competition will adhere to IBC sanctioned rules set forth by the Blues Foundation. 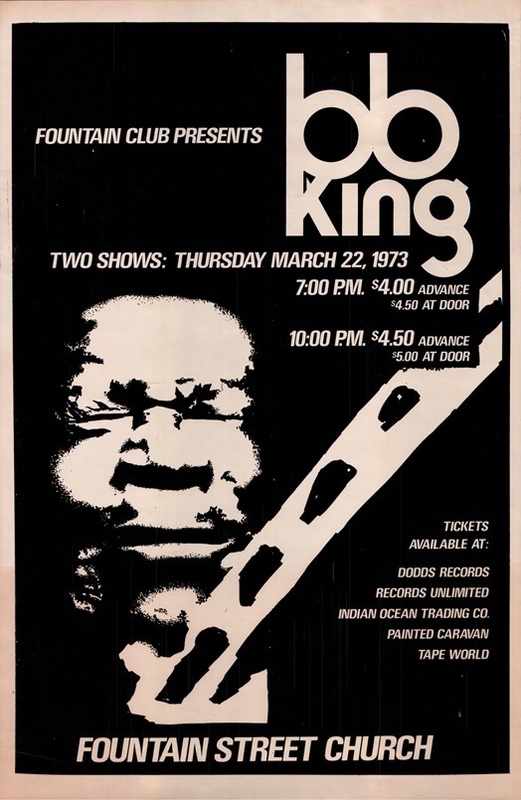 Locally, bands will play a 27-30 minute set of original material, covers are discouraged or must have a unique arrangement quality. A panel of judges from around the state will be handling the judging. 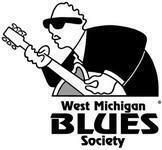 The West Michigan Blues Society is looking for six qualified bands to compete in the event. Bands with CD releases are preferred, but we will consider those who have releases pending. 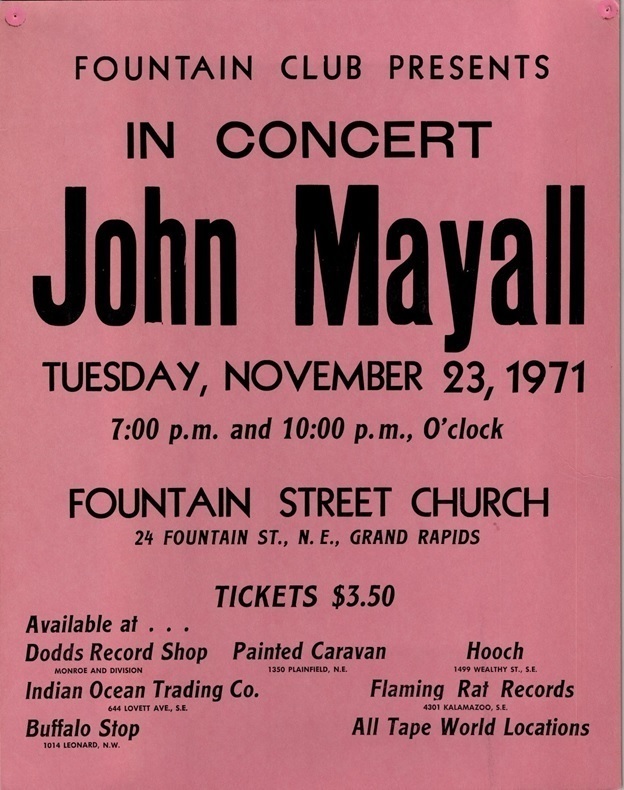 remembering days from long ago... did you attend any of these shows? Valid XHTML | | Valid CSS | Copyright © 2009. All Rights Reserved.